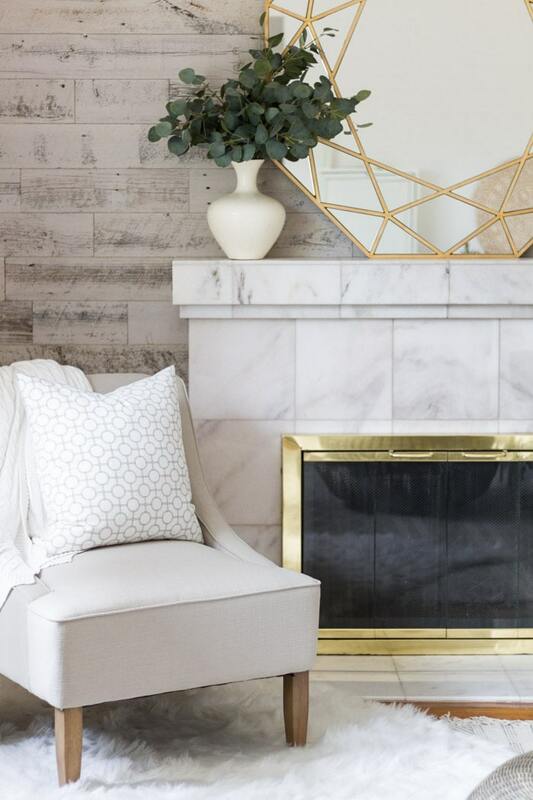 Gorgeous neutral decor is perfected with texture, and I’m not sure I can think of anyone who does it better than my sweet friend Annie from Zevy Joy. Her casually elegant home seriously stops me in my tracks every time I see it… And she’s an absolute darling, too. 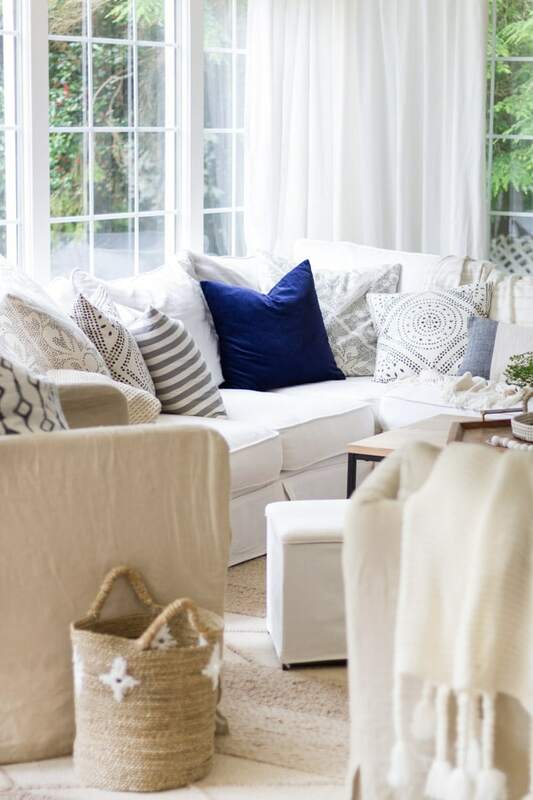 Don’t miss these expert tips on how to bring texture into your home decor! Hello all! My name is Annie from Zevy Joy. 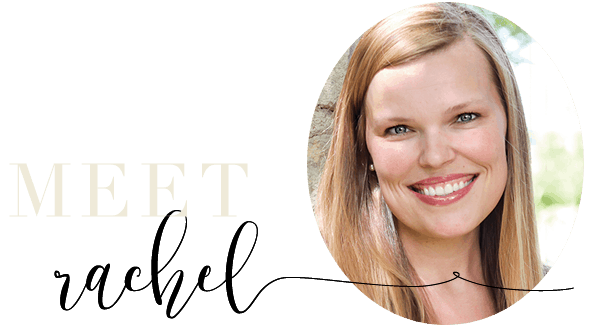 I am thrilled to be here with you today visiting and a big thank you to Rachel for the opportunity! Just to give you a little background, I love everything home and especially enjoy sharing my projects/decor with friends each week. Whether it be budget friendly, design inspiration or lending the heart of our home to yours – it is a pleasure. We have two small children of our own and I treasure making home together with my sweet hubby too! 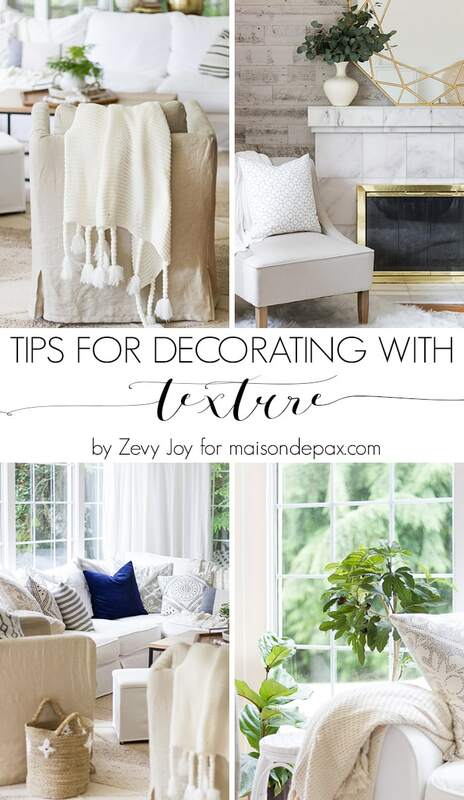 Today I wanted to drop in and share some simple ways you can use texture throughout your spaces. 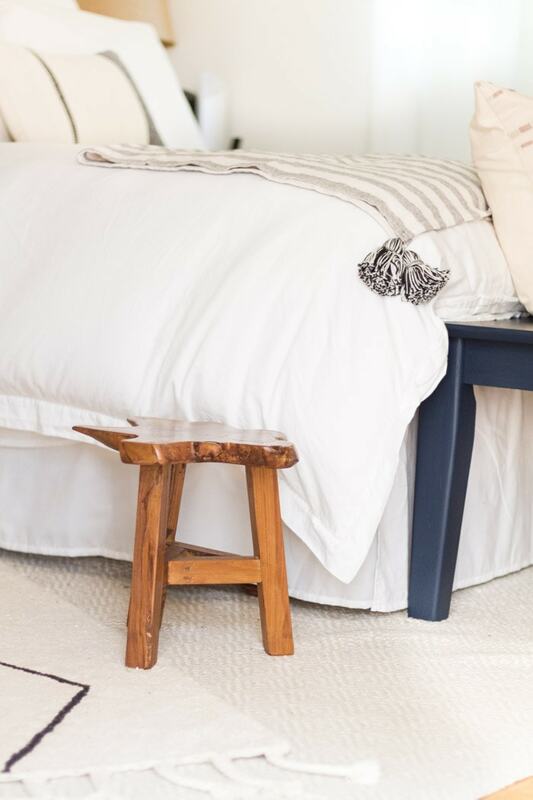 More so, 5 tips for bringing texture into your home! 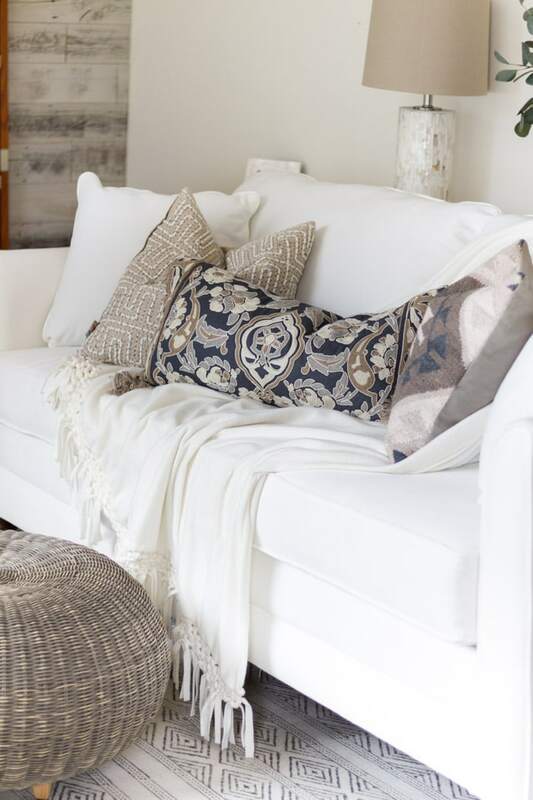 Pillows and throws are one of the most inexpensive ways to incorporate texture. 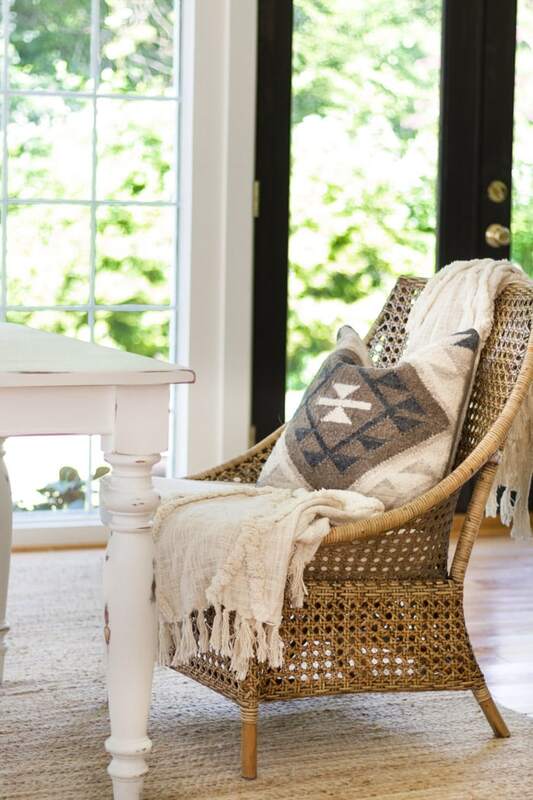 There are so many colors, textiles and details that make this accessory a must for any home! You can see how I used them here in my Summer Home Tour. Tassels, fringe, woven flower designs – you name it! 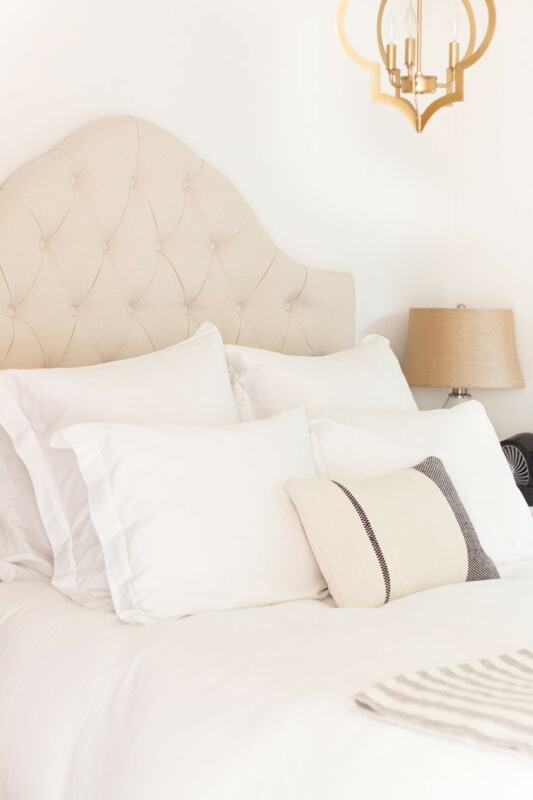 I change my pillows on a regular basis and am always amazed at how quickly they alone bring the texture needed to make a room feel cozy and welcoming any time of year! Another wonderful way to bring interest to any corner, table, space or tray with greenery. 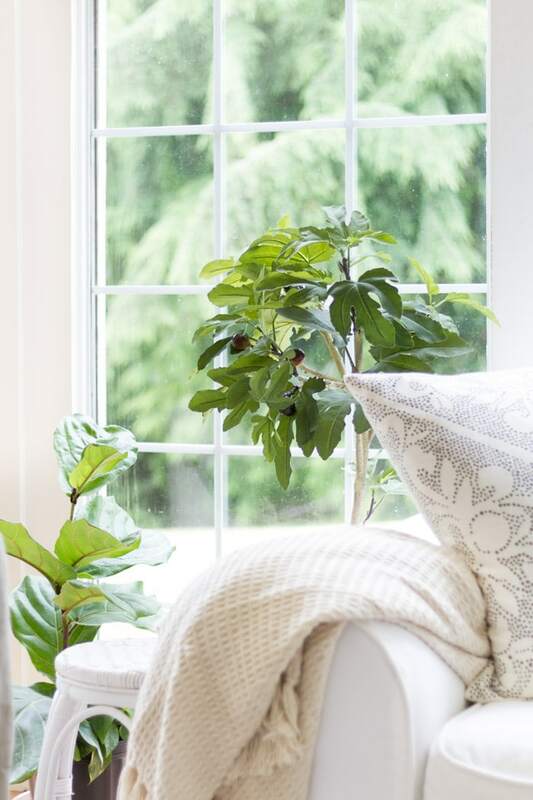 Whether faux or real plants bring life to the home, they brighten spaces and the arrangement of leaves/foliage make them beautiful to enjoy year round (think Christmas trees too). Thrown into a vibrant vase they can easily steal the show. 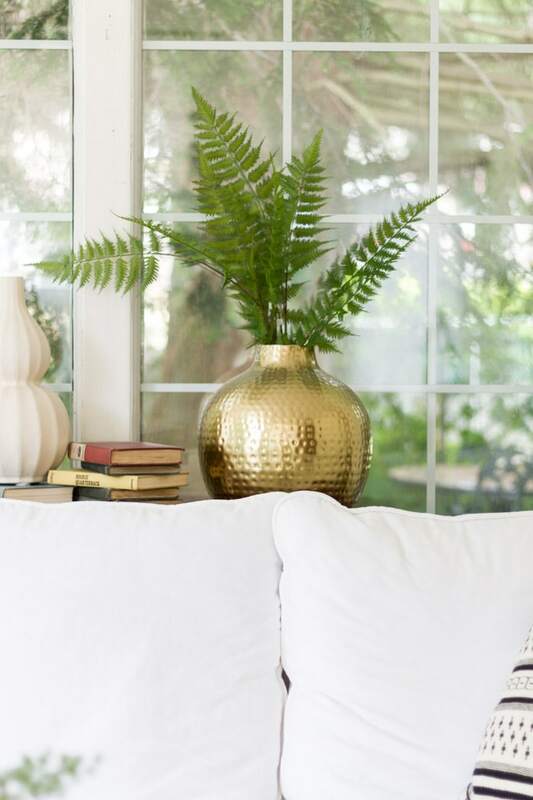 As seen above, one small arrangement of ferns draw the eye in and the leaves are a soft texture against the neutral tones. 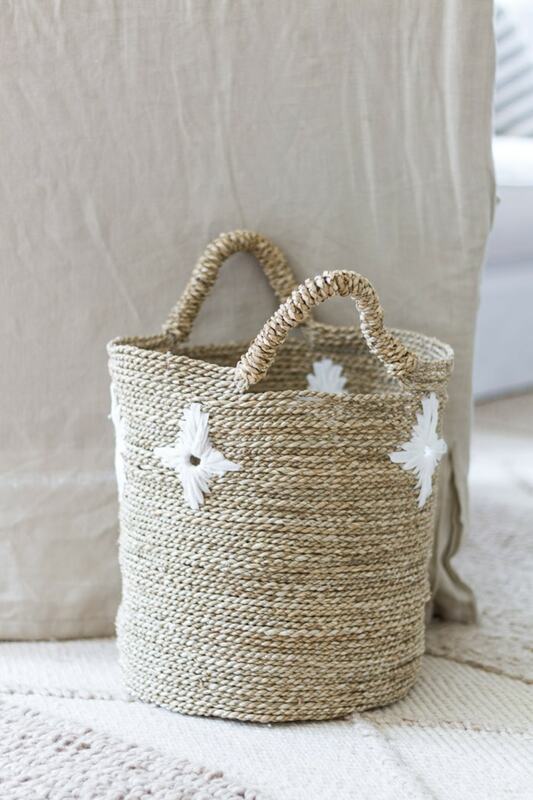 Texture is undoubtably found in baskets. And the rattan chair seen here. 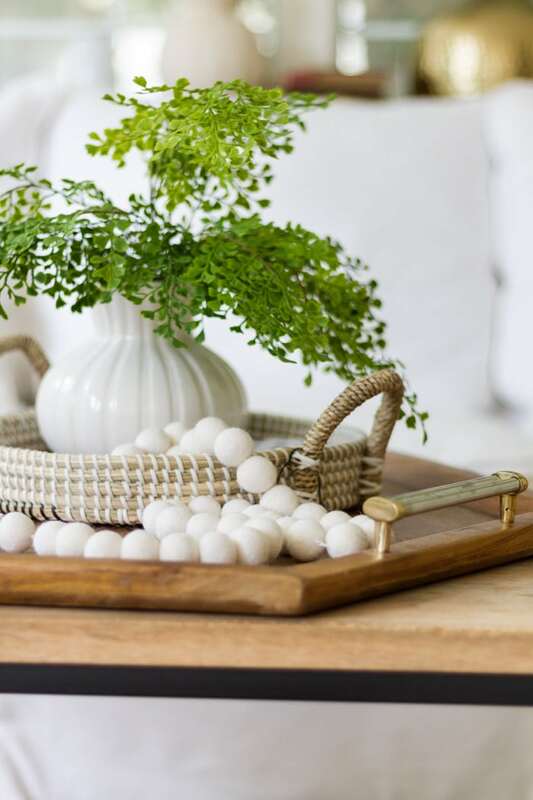 I really like incorporating at least a piece or two of furniture/accessories that have some type of basket weave. 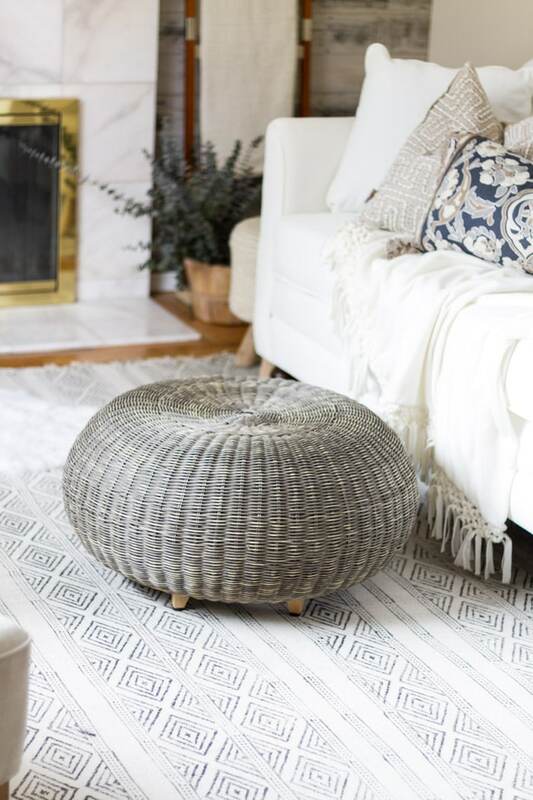 Rugs are an excellent way to infuse texture as well. In fact, I have found that most of my rugs have a thick texture or design to them and it really brings value to the rooms. The rug above has a repeating pattern, although neutral, it still stands out because of the raised design. 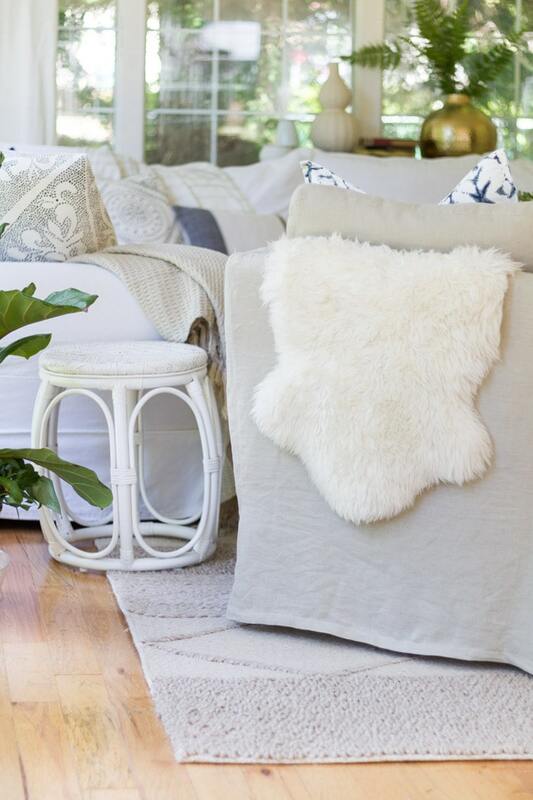 Or the faux sheepskin here really softens and cozies up this little corner. 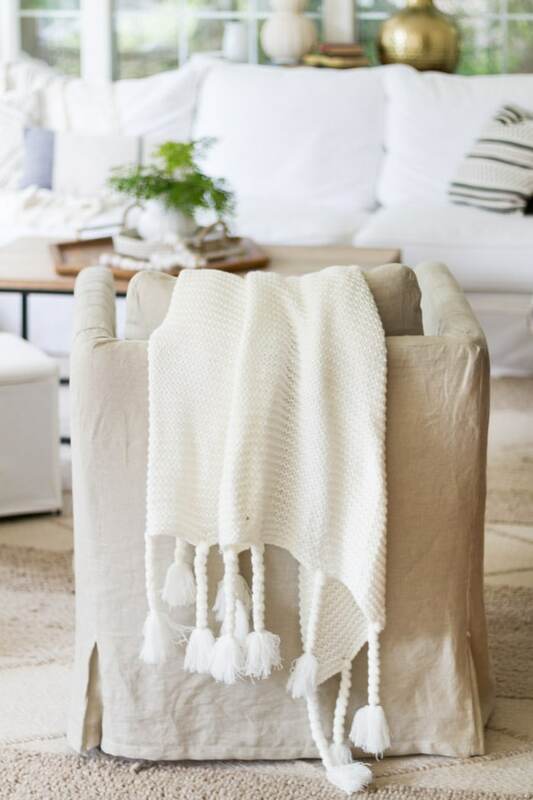 Tassels aren’t just meant for pillows and can be found on rugs too! 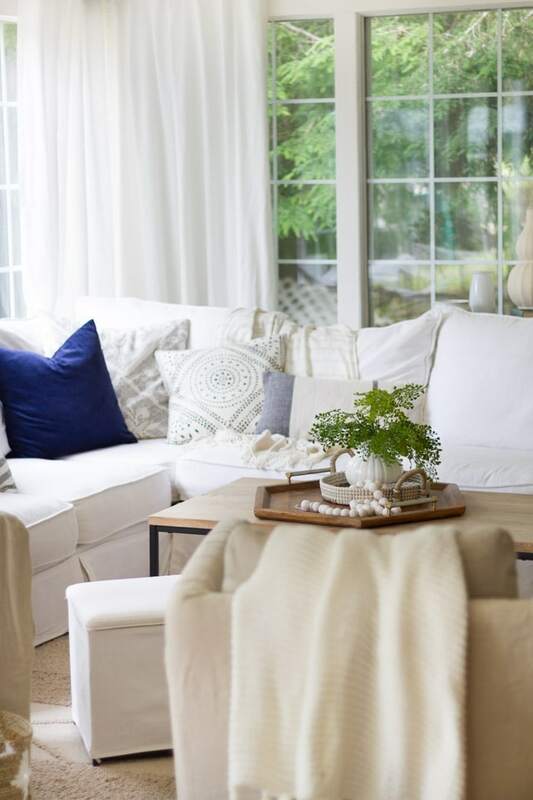 Enjoy thinking about rugs for each space just as you would pillows or throws. 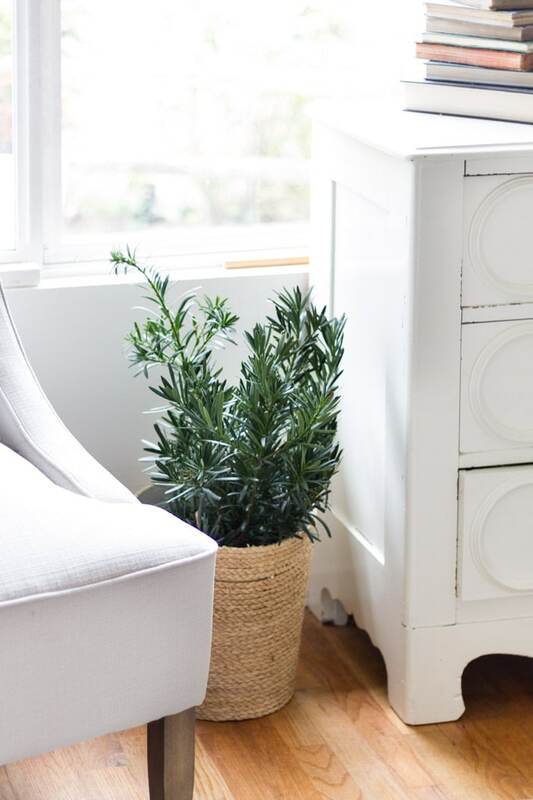 The options are limitless and there are some great ways to change up the look or style of your room with this type of texture. TIP 5: REMEMBER TO LAYER! And most importantly, have fun with it, don’t take it too seriously; let your decor speak to you. 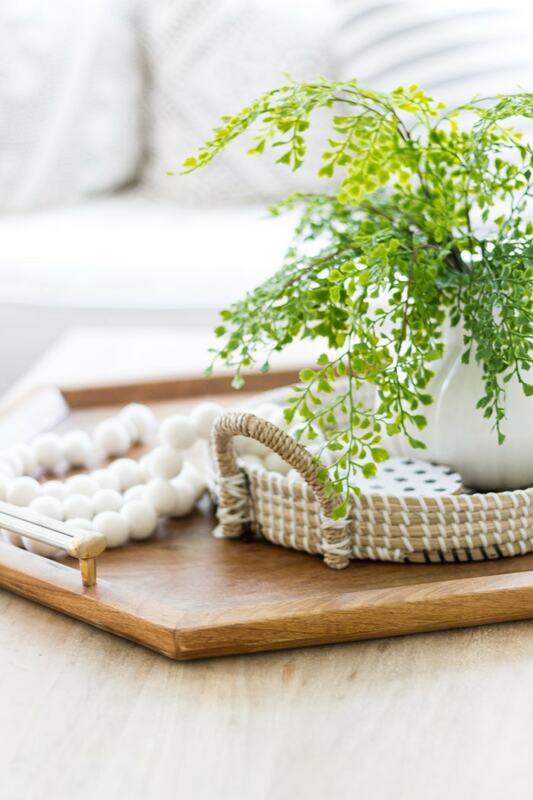 Texture is a wonderful and simple way to make your decor complete without breaking your budget. I hope you enjoyed these tips today and thank you again to Rachel for having me. I hope you will come say hello over at Zevy Joy sometime and have a wonderful Summer! Wonderful tips and love your house. Isn’t her home beautiful? Thanks for stopping by! 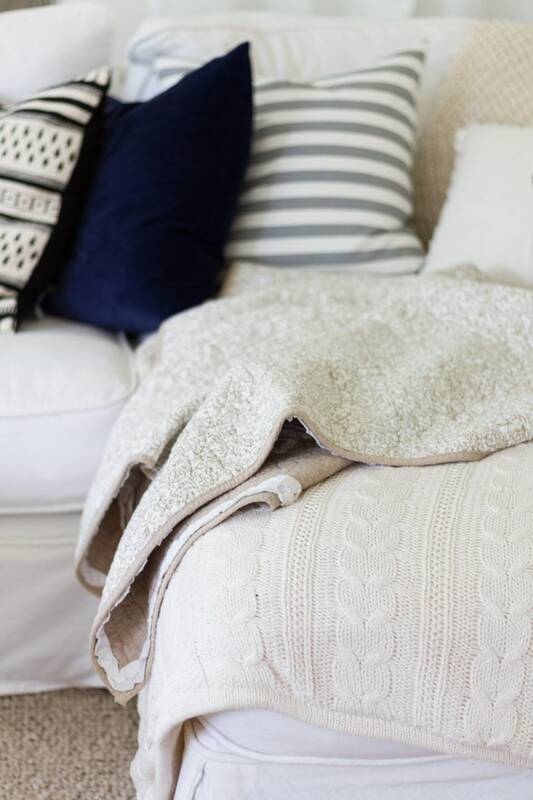 I love all the texture with neutral colors. It creates such natural and soothing rooms.